Polished spherical concavities are 16 to 18mm dia. 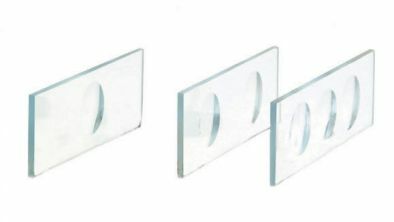 0.5 to 0.6mm deep and made of non-corrosive glass with bevelled and polished edges and corners. 75 x 25mm, 1.5mm thick.